Tired of pests? We have the perfect solution for you. 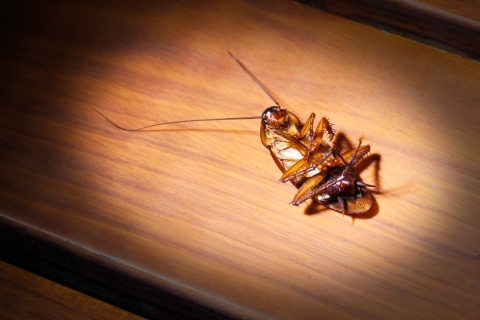 No one likes pests, but they are even more of a problem when they invade your home. As your personal place of relaxation, you should never have to worry about what might be lurking under your floorboards or within your walls. When you work with Bio Green of Orlando, we give you the peace of mind that you deserve. Offering all of our residential customers an outstanding, comprehensive pest control solution, you never have to worry again about the “what-ifs”. While the sheer thought of pests may make your skin crawl, having an infestation can be much more than just an annoyance. Not only are many pests creepy, but a majority of them actually carry numerous diseases that could affect the health of your entire family. Do not put yourself and your family at risk. Let the experts at Bio Green of Orlando take care of pests for you. At Bio Green of Orlando, it is our goal to not only rid your property of all pests, but to deliver results that last. Our mission is to safely remove the pests that are bothering you, and ensure that they do not come back. Implementing an effective plan of action, we take our time to inspect what pests you have, where they are coming from, and administer the proper pest control. From spiders to roaches, mosquitos, ants, and even rats, it is our goal to help keep your home protected and your family safe. Receive the protection you want from a company that you can trust. Call Bio Green of Orlando today to schedule your appointment.